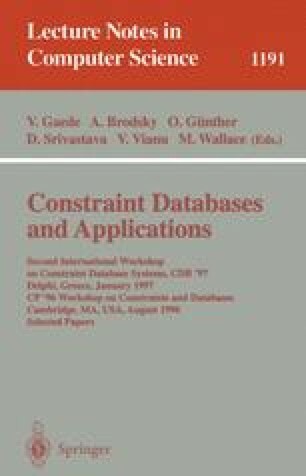 We describe the core of a rule-based CQL, devoted to the manipulation of 2- dimensional tabular databases. The rules provide a simple and declarative way to restructure and query tables, and the constraints allow to define cell contents by formulas over concrete domains. We define a model-theoretic semantics and develop an equivalent fixpoint theory that leads to a naive evaluation procedure.